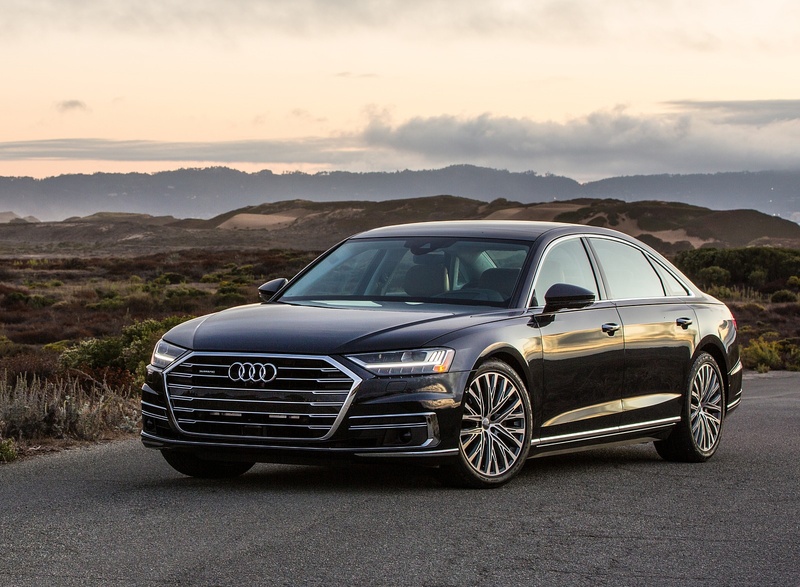 Fourth-generation 2019 A8 delivers serene interior design and is the first production execution of the all-new Audi premium design language. 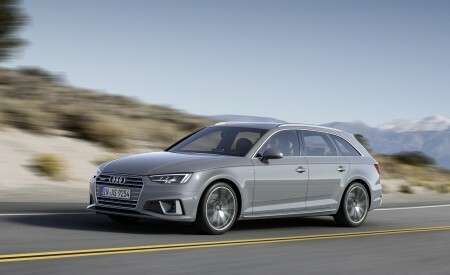 Infotainment and all-new MMI system with touch response delivers new level of Audi technology. 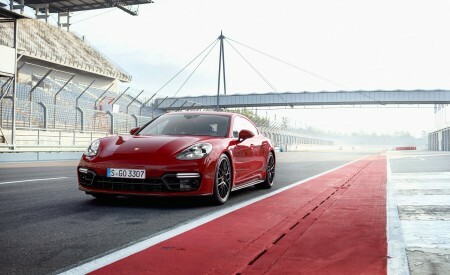 Predictive active suspension and driver assistance features set a brand benchmarks in driving experience. 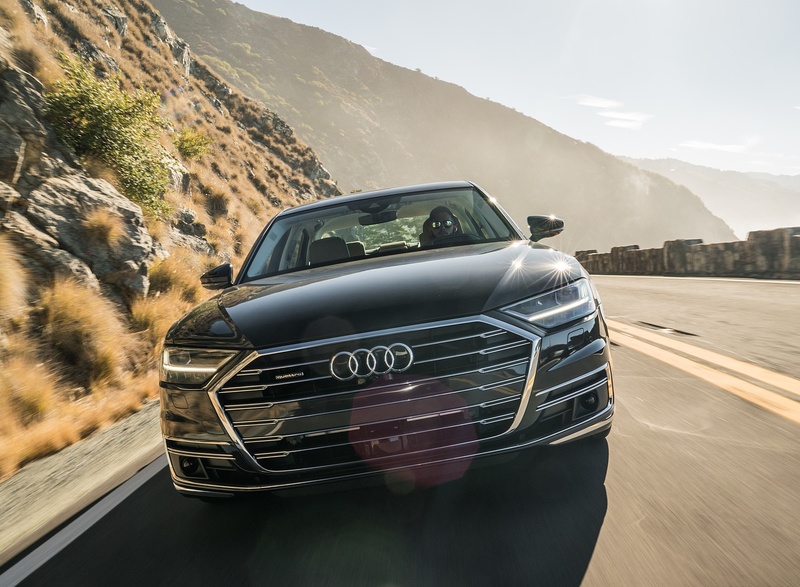 The 2019 A8 is the first production execution of the all-new premium Audi design language deriving from Design Chief, Mark Lichte’s Prologue concept, which is founded in state-of-the-art exterior lighting, a powerful stance and precise, proportional design. 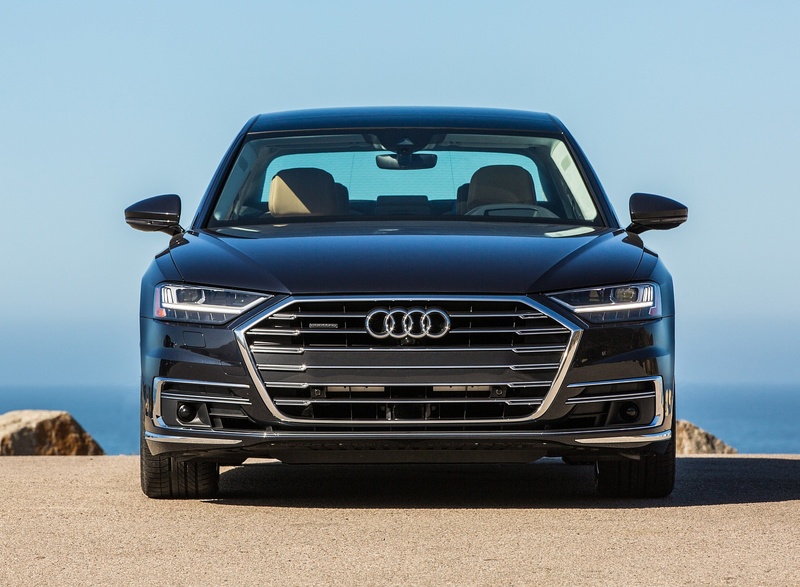 The front with its broad, upright Singleframe® grille, the flowing and muscular body design and the rear with its full-length strip of dynamic lighting accentuate the distinctive the stance of the all-new A8. 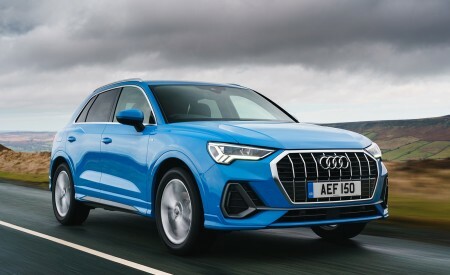 The proportions equally highlight the front and rear wheels, with definition at the wheel arches calling attention to the standard quattro® all-wheel drive. 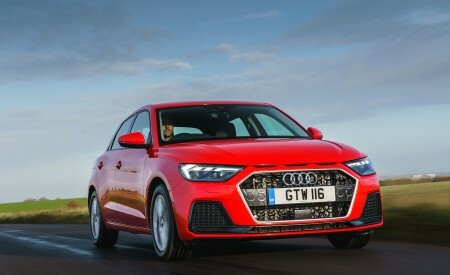 The exterior lighting is state-of-the-art, particularly when equipped with the HD Matrix design and rear lamps with OLED technology, further cementing the Audi lighting leadership. The new Audi design language is manifested in the interior through an intelligent redesign, featuring exceptional precision and material selection, as well as advancements to enhance relaxation and comfort for the driver and passengers alike. 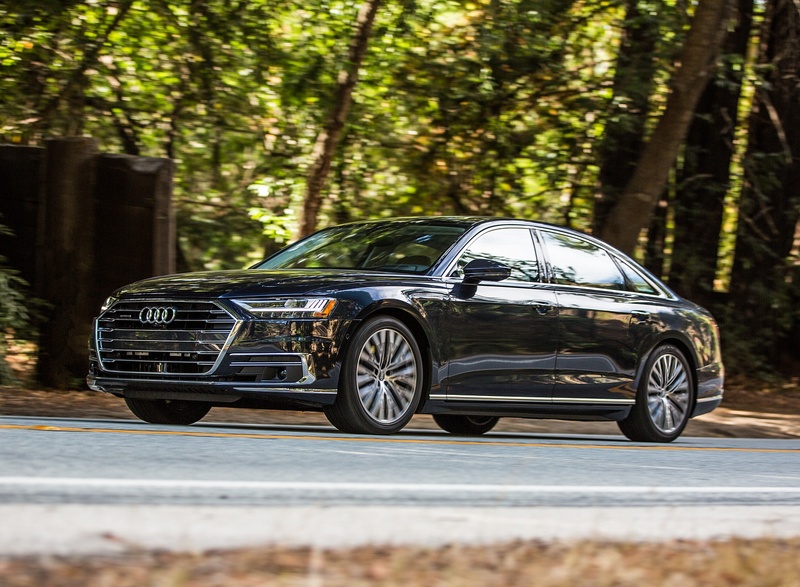 The A8 interior offers simplicity through the elegant use of piano black surfaces that give way to the two integrated touch display screens surrounded by brushed aluminum. Offering exceptionally clean design, a multitude of individual buttons have been eliminated in favor of the consolidated into the dual screen MMI touch response using the same intuitive operations as the latest smart phone interfaces. 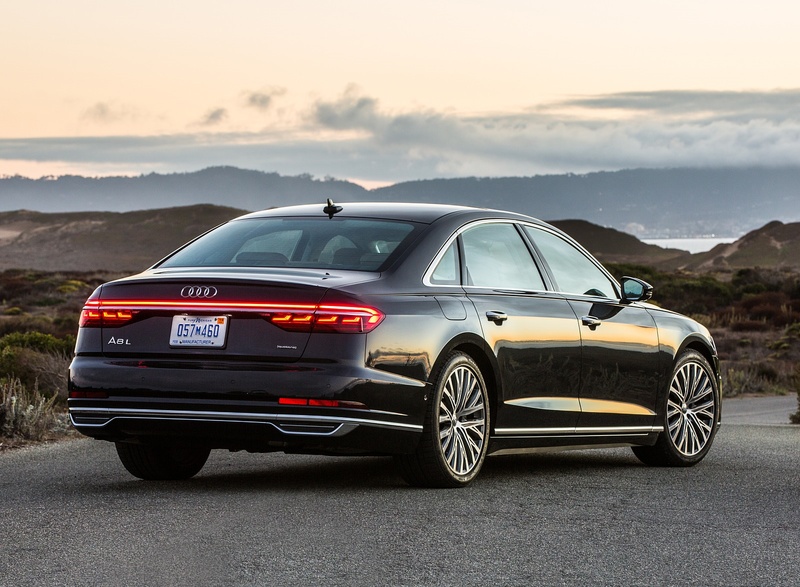 The A8 provides a sense of ceremony to the driver and passengers through a theatre-like lighting display when the vehicle is unlocked, followed by the personalized welcome of the A8 in the virtual cockpit while the audio tweeters emerge and the air vents open to let its passengers know they are driving the pinnacle of the Audi lineup. 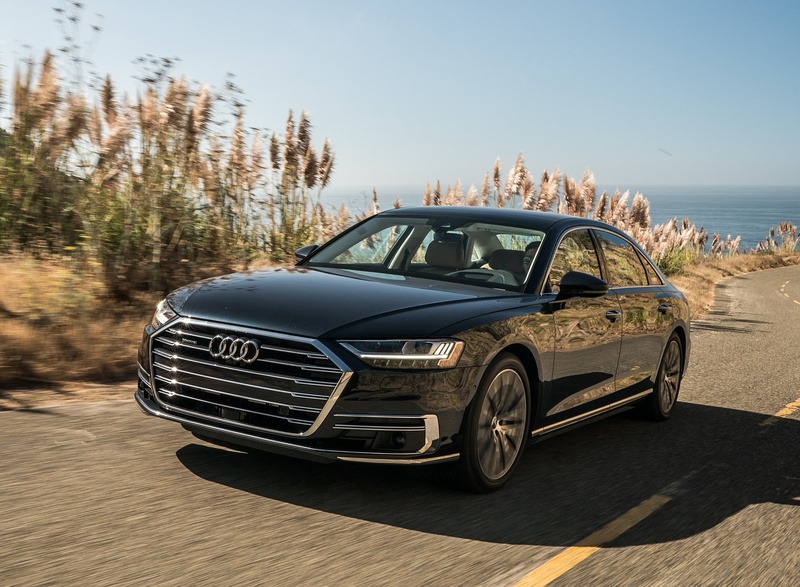 Attending to every element of the user experience, through the available Premium air quality option, the cabin air is ionized for purification before passengers enter the A8 and a pleasant aroma can be selected to add to its interior ambiance. For passengers in the rear of the vehicle, stored in the rear center console, a smartphone-sized OLED rear seat remote control allows passengers to conveniently customize their seating and infotainment preferences. Completing the luxury cabin, for ultimate relaxation, the right rear passenger seat offers an available heated massaging footrest discretely positioned on the rear of the front passenger seat. The result is an interior offering a serene respite from the hectic life that surrounds it. Adjustable rear Matrix LED reading lights. Smartphone-sized OLED touch remote control to customize rear seating and infotainment preferences including Matrix reading lamps. 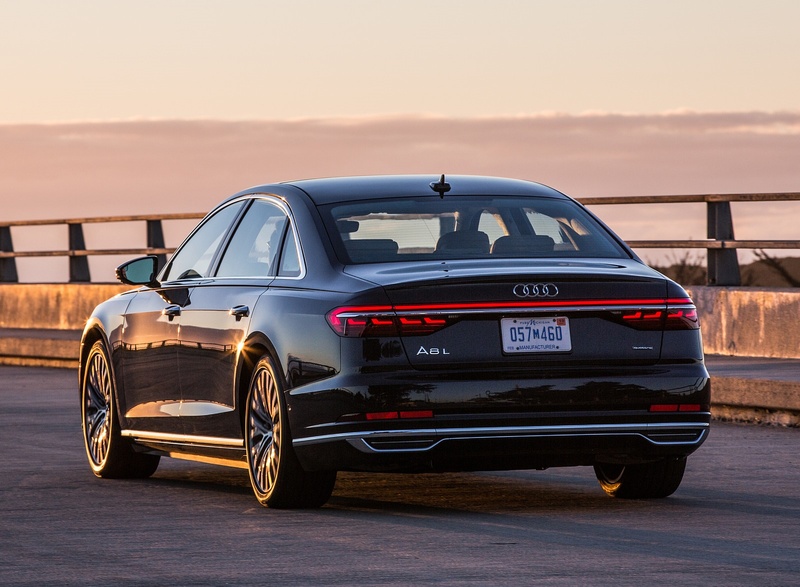 As the flagship of the brand, the A8 has long presented industry-leading technologies that make their way into future Audi models. 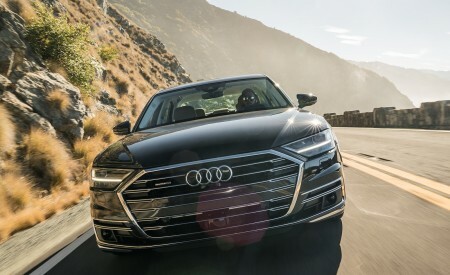 This latest generation is no different as Audi approaches the digital age with a revolutionary infotainment concept debuting in the A8 that features haptic touch functionality, user-friendly menus and the simplicity of operation known from your smart phone. Extending the ease in usability for all occupants, the smartphone-sized OLED remote control allows rear seat passengers to conveniently customize their seating and infotainment preferences as well as the ambient and matrix interior lighting settings. New myAudi app enables greater range of smartphone-controlled vehicle selections. Single application consolidates touchpoints into one location including lock/unlock, geo-fencing, speed warning, destination entry and others functions. 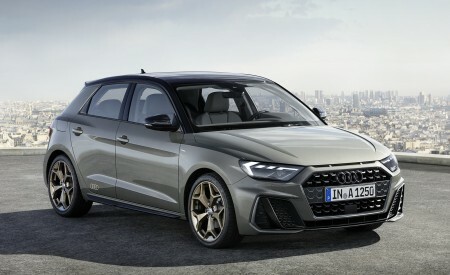 Standard is the second generation Audi virtual cockpit featuring a large, 12.3-inch display that delivers vibrant color at 60 frames per second with K1 chip from NVIDIA® quad core processing power at 1920 x 720 pixels per inch. The virtual cockpit helps make viewing and navigating via the large Google Earth Satellite images supported with 4G LTE (where available) easier via the full map display and through its placement directly in front of the driver. The virtual cockpit is fully controllable via the steering wheel. The zFAS central driver assistance computer that processes all of the sensor information. 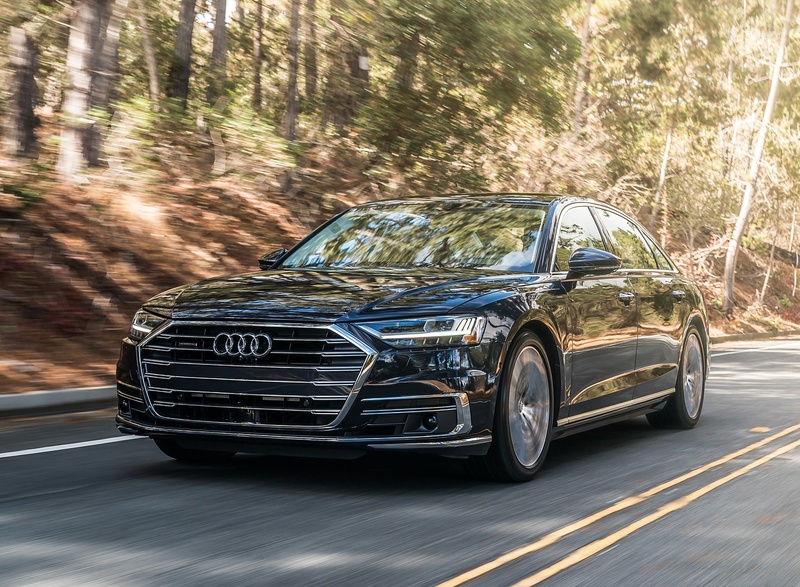 Delivering an Audi benchmark in driver assistance and convenience systems, the 2019 A8 sets a new standard in luxury providing increased ease of mind and operation through its comprehensive assistance functionality. 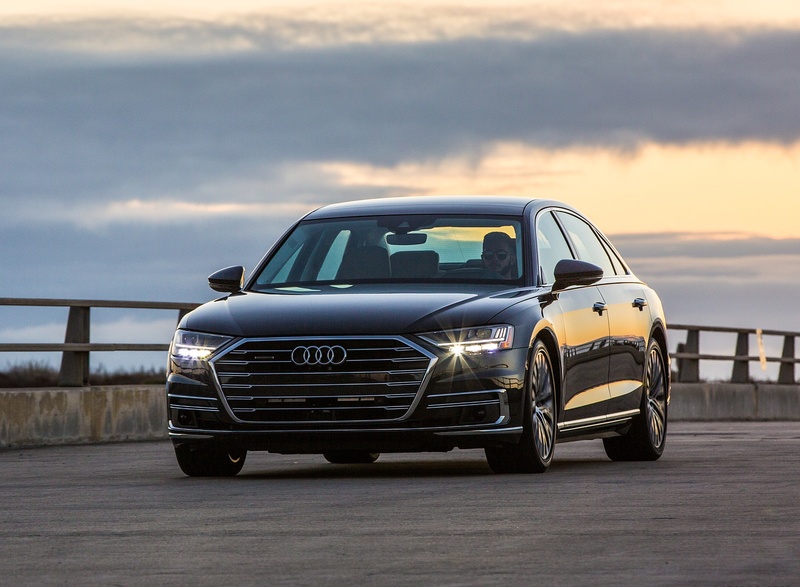 In addition to advancements in systems previously debuted by Audi, including the stress reducing adaptive cruise assist, advanced collision mitigation and cross traffic assist, through its onboard sensors, cameras and laser, the A8 sets a new technical standard. 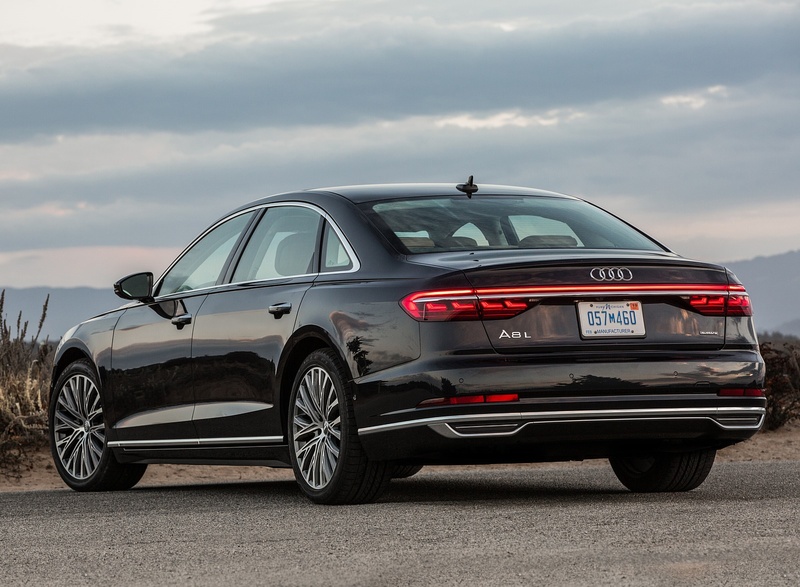 The advanced systems debuting in the A8 offer an added element of ease behind the wheel. 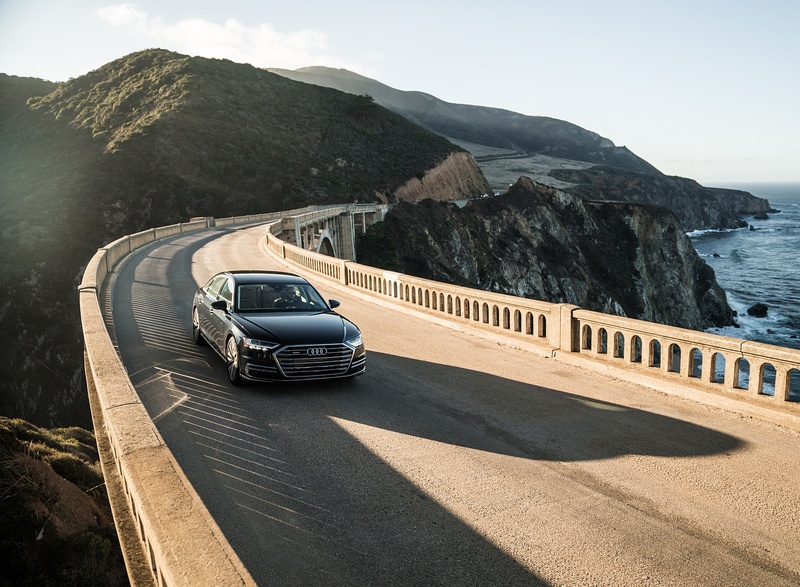 While the driver maintains control, the intelligent systems in the A8 simultaneously assess the vehicle’s surroundings, providing the driver with added confidence and stress reduction. 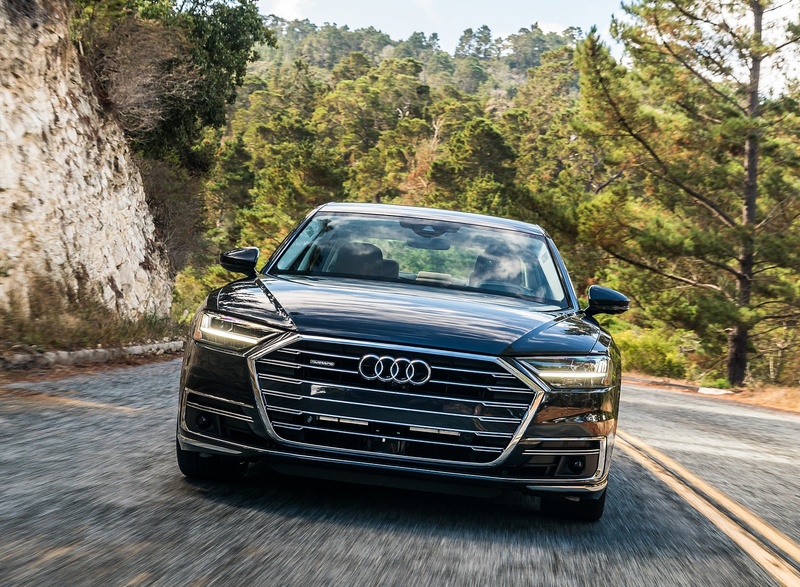 The impressive array of safety enhancing systems, including improved lane centering capabilities and more precise lane tracking, make the A8 the driver assistance benchmark for the brand and the segment. Enhancing the groundbreaking A8 system further is the introduction of the first production automotive laser scanner with a wide horizontal range that is more precisely able to provide detailed, contoured images that measure distance and orientation. Together with the vehicle’s long-range radar and front camera, the laser scanner forms a trio of sensors with various functional strengths that complement each other. It is these sensors combined, as well as the powerful zFAS driver assistance computer, which generates an image of the surroundings and processes the data to help inform the driver and actuate the driver assistance systems as needed. Adaptive Cruise Assist – (ACA) The Adaptive Cruise Assist (ACA) function is a ‘hands-on’ system that assists the driver with acceleration, braking and steering at low speed and in traffic jam situations, improved navigation of tight lane situations such as construction zones, as well as supporting highway speeds. Intersection assist – can help supports the driver avoid low-speed collisions with cross traffic in front of the car when entering an intersection or when leaving a parking space with an obstructed view. The system warns the driver visually of approaching traffic and audibly as well as initiating braking when needed. Predictive active suspension – is an automotive first and can detect a potential collision from the side via Audi pre sense side, and can raise the chassis by 3.1 inches within half of a second to help channel the impact toward the strongest structures of the A8 while also preparing the cabin for optimal seating position and condition in order better protect its passengers. 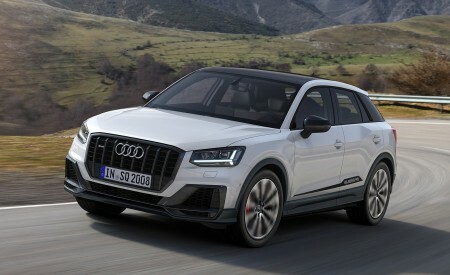 Audi pre sense 360 – detects potential collision hazards all around the car and initiates specific preventative measures ranging from full emergency braking, preconditioning seat belt tensioners, raising windows, closing sunroof and prepares airbags for deployment in case of a pending front, rear and now side collisions. 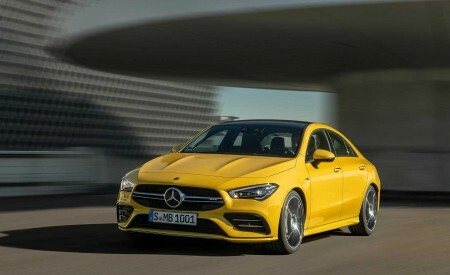 Emergency assist – detects if the driver is unresponsive and brings the car to a stop in its lane, engages emergency hazard lights and places an emergency SOS call. 360 degree cameras (‘Virtual top view’) – simplifies parking and maneuvering by providing a virtual 3D image of the vehicle’s surroundings, allowing the driver to spin and zoom the image for optimal view. Exit assist – now delays opening of door through the electronic latch system if a vehicle or bike rider is approaching as you look to open door. 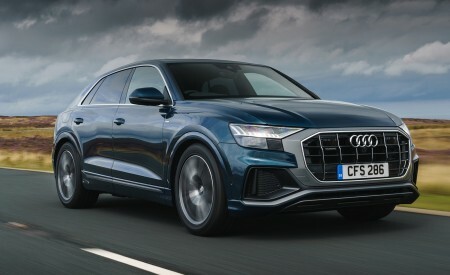 With dynamic all-wheel steering, Predictive active suspension and the powerful all-new electronic chassis platform, Audi has rethought every aspect of the all-new flagship’s handling and ride experience. Comprised of 29 different frame materials and 14 cold and hot joining techniques, the A8 delivers an intelligent material matrix. 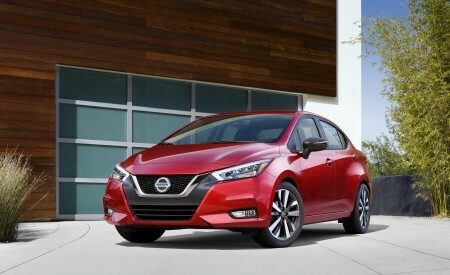 The result is outstanding driver handling and premium passenger comfort in a safe and quiet package. 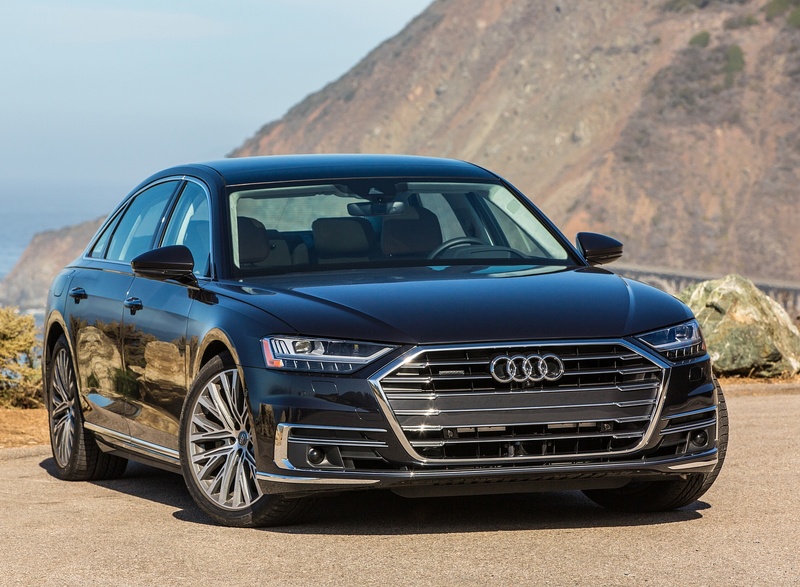 Launching with a new 3.0 liter V6 turbo engine, the A8 powertrain is paired with a standard new 48-volt electric mild-hybrid drivetrain. 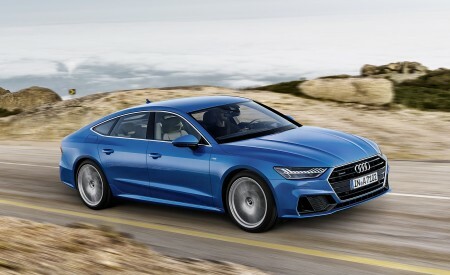 This 10Ah lithium-ion battery and new belt driven alternator starter (BAS) has been engineered to support the TFSI® engine and functions as the main vehicle electrical system enabling the advanced infotainment and luxury equipment, including the driver assistance systems and electromechanical suspension in the A8. This system allows for recuperation of power and is designed to help provide a more responsive and smooth ride. 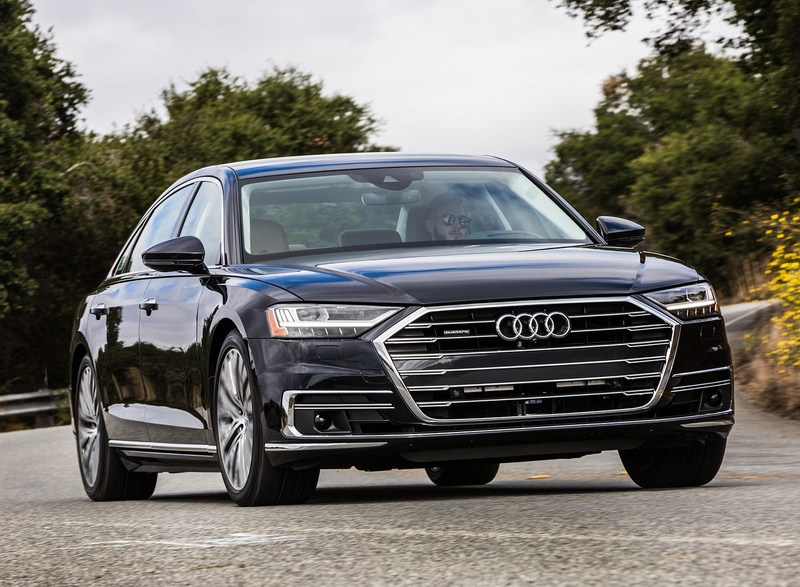 The powertrain operates in conjunction with a fast and gently shifting eight speed tiptronic transmission and standard quattro® all-wheel drive with self-locking center differential. 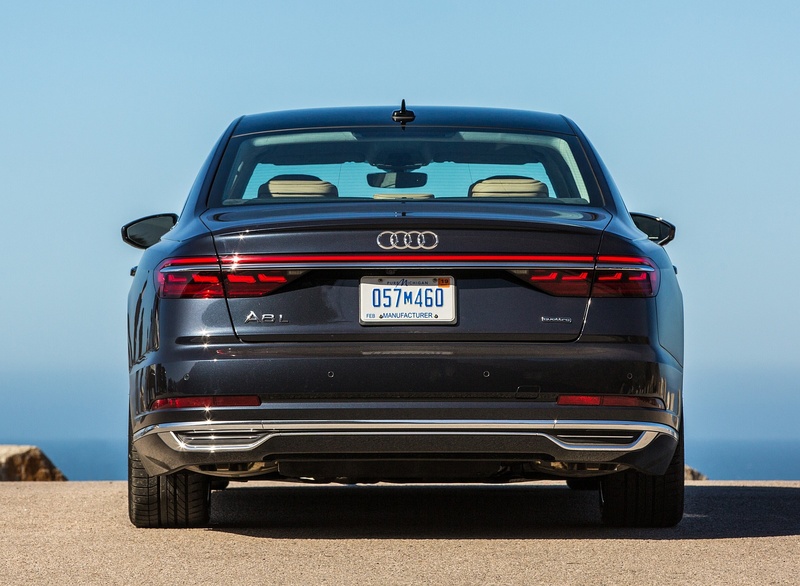 The all-new 2019 A8 will go onsale in the Fall of 2018 with the 3.0 Liter V6 TFSI engine. 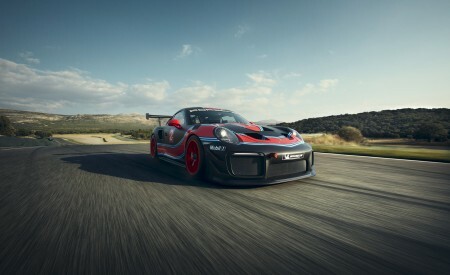 A V8 engine will be available by Summer of 2019.